Some people hate solar panels. Change is always a little bit scary, especially to more entrenched individuals who have become comfortable with the status quo. Often these people are hesitant to change because they have fads come and go and are suspicious of any claim that seems too good to be true like eliminating your bills or making you extra money. The science behind new technology updates can be intimidating and confusing. You can even find a lot of people out there who don’t believe that the environment is in danger and that finding alternative energy and reducing waste and pollution is even necessary. They are happy to keep doing exactly what they are doing without a change, feeling assured that it’s working and that progress isn’t always what it seems. For some trends and new developments – they may be right. Does everyone need a selfie stick or hoverboard? No, and those are kind of silly fads. High end electric cars are fancy and popular, but probably won’t be totally widespread, successful, or affordable for everyone for a few more decades at least. Sometimes these naysayers are right in clinging to what they know. But with solar energy – they’re wrong, and it’s time to show them why. Solar energy is such a home run for everyone, in any situation. Solar energy is free, abundant, and renewable. Not to mention it is cleanly used and doesn’t create nasty pollution or byproducts. Solar energy is safe for homes and businesses to use, and even though solar technology will continue to improve and progress – the current technology is pristine, functional, and will not require updating for many, many, many years to come. Many solar panel naysayers kick back against the cost of solar panels, arguing that only the rich or science-affiliated are able to buy and utilize solar panels in their business or residence. This simply isn’t true anymore. Solar panels are cheaper than ever, with rebates, tax credits, and subsidies that make it even more affordable. 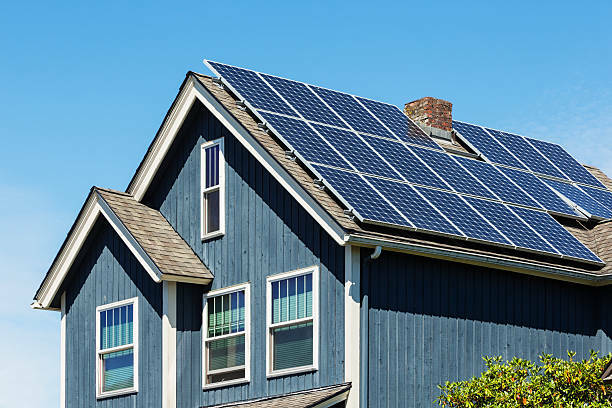 Most reputable companies will contract payment plans or even rental plans to help make your solar panel experience more affordable and financially viable, regardless of your income level. Look around – you’re starting to see them in your neighborhood – we guarantee it! And did you know that, depending to he size of your house, your electric bill can disappear completely? You can even make money if you store more energy than you use. And don’t forget that it adds long term value to the price of your home! Not so expensive after all. Oh you think they’re ugly? You think solar panels are eyesores, do you? This is usually the final and weakest argument offered by solar panel naysayers. Maybe the first time you saw solar panels you thought “Ew! What are those?” But have you really even noticed them lately? Drive around a few neighborhoods and notice just how many families are making the switch. Especially once they are installed you will get so used to them, and no one else thinks they’re ugly either – they think solar panels are smart, environmentally friendly, and a great economic decision! Don’t be afraid of solar panels – they’re one fad that’s here to stay.